Olivia is an Associate in the Criminal Litigation Department. 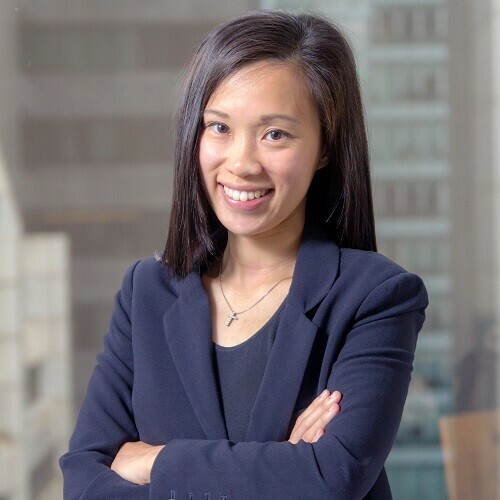 She specializes in criminal defence with a focus on commercial crimes and regulatory matters involving companies, senior management and individuals with the Securities and Futures Commission, the Independent Commission Against Corruption and the Hong Kong Police Force. She advises clients on cautioned interviews, arrests, search warrants, identification parades as well as representing clients in bail applications, pleas of mitigation and trials. She frequently conducts her own advocacy while instructing suitable counsel when required. She has also been instructed by the Department of Justice to prosecute cases and summonses heard in Magistrates’ Courts. Her prosecution experience allows her to be well versed in court procedures and to provide prompt and practical advice for individual and corporate clients alike. Aside from criminal cases, Olivia also advises insurance companies and individuals to handle Personal Injury and Employees’ Compensation cases, with substantial experience in advising on liability and quantum. Olivia was a trainee solicitor in Haldanes and was admitted as a solicitor in Hong Kong in 2014. In her spare time, she is an avid triathlete who frequents local and international triathlon and Ironman races.